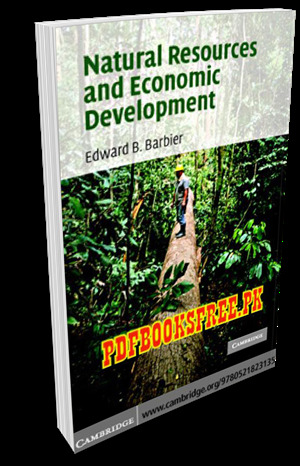 Natural Resources and Economic Development Written by Edward B. Barbier. The “Natural Resources and Economic Development” book explores a key paradox: why is natural resource exploitation not yielding greater benefits to the poor economies of Africa, Asia and Latin America? Part one examines this paradox both through a historical review of resource use and development and through examining current theories that explain the under-performance of today’s resource-abundant economies, and proposes a frontier expansion hypothesis as an alternative explanation. Part Two develops models to analyze the key economic factors underlying land expansion and water use in developing countries. Part Three explores further the ‘‘dualism within dualism’’ structure of resource dependency, rural poverty and resource degradation within developing countries, and through illustrative country case studies, proposes policy and institutional reforms necessary for successful resource-based development. Edward B. Barbier is currently the John S. Bugas Professor of Economics in the Department of Economics and Finance, University of Wyoming. He has over twenty years’ experience as an environmental and resource economist, working mainly on the economics of environmental and development issues. This book “Natural Resources and Economic Development” is now available on Pakistan virtual library in high quality pdf document. Check out the following links to read online or download the complete book in pdf format to enjoy offline reading.